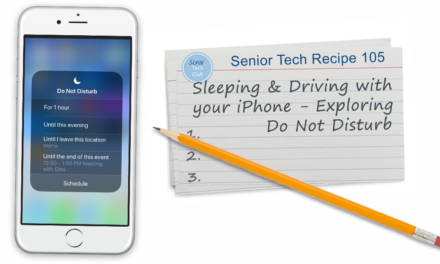 This recipe will show what’s required, how to setup and most importantly, how to access your parked car location on your Apple Maps. Once you are setup and linked to your car with bluetooth, you can launch your iPhone Maps app and find your parked car as shown on the map below. If your Parked Car isn’t showing on the map, Tap the Map’s Search field and choose Parked Car from the provided list. If you need walking directions to your car, Tap Directions, choose a route and tap GO. Click End when you arrive. Here are the requirements for this function to work with your car and phone. From the map picture above, you may not find the map location useful if you are looking at the mall’s parking lot or parking at an event. 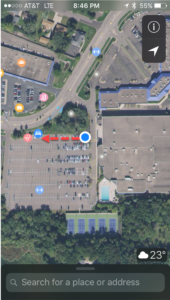 Consider switching to the satellite (picture) view in order to align your car’s location with parking rows or other visible marks in the lot. With the satellite view you can see parking rows, buildings and even trees that may provide useful landmarks. The Satellite view will display as shown below. Notice how you can now see the rows of cars in the parking log. The landmarks make it possible to walk directly to your car using any landmarks from the satellite picture. Please note that the satellite view is not real time and may be a picture from months or even years ago. If you park in a large parking ramp, the Parked Car location is not able to show you the the floor where you are parked. This is a perfect place to snap a quick picture of a reminder like the sign that displays your floor number or other identification. I discovered the Parked Car on my map without any setup. I was already using Bluetooth in my car and I was ready to go. So before you jump into the Setting shown below and you are using BLuetooth in your car, check your Maps app. However you don’t see your Parked Car, here are the setup items that may require attention. 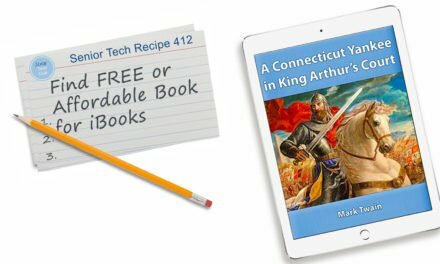 Additional resources from Apple Support on the setup can be found under this receipe’s Additional Information. 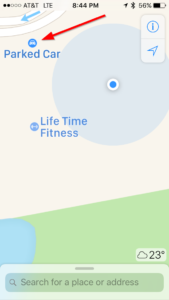 Location Services needs to be on. Go to Settings > Privacy > Location Services. The slider needs to show green/on. Make sure that Frequent Locations is on. Go to Settings > Privacy > Location Services > System Services > Frequent Locations > Frequent Locations. The slider needs to show green/on. Turn on Show Parked Location. Go to Settings > Maps > Show Parked Location. The slider needs to show green/on. Pair your Bluetooth or CarPlay. This will vary by auto manufacturer. 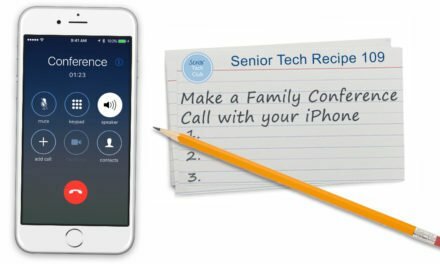 Apple support provides some general help from the iPhone side. See the Additional Information section below for details. It is a pretty simple concept on how this works. 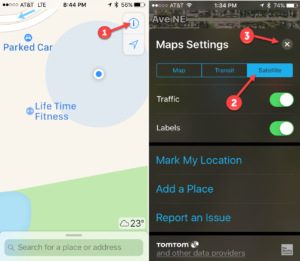 If you have Bluetooth or Car Play in your car, when the bluetooth disconnects because you turn your car off or leave the area, the iPhone will automatically mark that location on the Map application. Use the following questions to determine if you need to read or study this recipe. You might already have an understanding of this topic. Following your study, answer the same questions to help you check your understanding of the skills taught in this lesson. Can you see the Parked car location on your map. 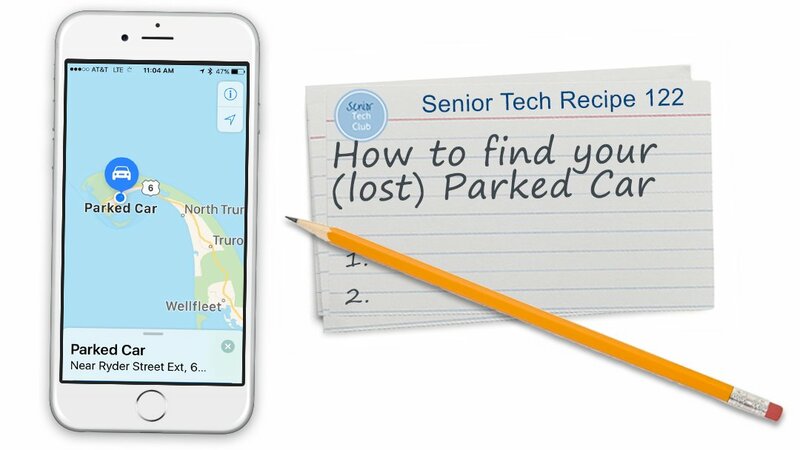 What can you do if your map location of your Parked Car doesn’t have landmarks to help you find your car? 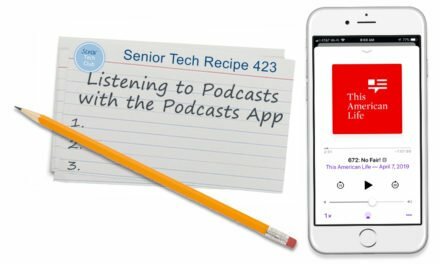 The Senior Tech Club recommends the following additional resources for members that wish to pursue additional and/or advanced information on this recipe. PreviousThe iPhone is 10 Years Old!